Established in 2017, CasinoMax is a new casino brand available on the US market. Run by the industry veterans who have already proven their management skills with the reputable Club World Group operating over a decade, CasinoMax provides players with a safe and fair gaming experience. The gaming venue performs on three platforms, instant-play, download and mobile, powered by one of the most prominent software providers in the world. It is Realtime Gaming or simply RTG, well-know to the US audience the casino targets. Licensed by the Government of Curacao, CasinoMax complies with all the industry standards and regulations to provide its players with the best of online gaming. New players will be welcomed with a welcome bonus of up to $9,000 over their first three deposits and there are numerous daily offers existing customers can make use of. Grab them to boost your bankroll and enjoy exciting RTG games from the comfort of your home or on the go. If you have ever played at any of RTG-powered casinos, you will easily find your way around. CasinoMax is a perfect gambling destination for all kinds of players as it welcomes new customers with a 300% signup bonus up to $9,000 over 3 initial deposits. That’s not all, as the welcome package is followed by 20 free spins which will be added to a customer’s account for consecutive 10 days. To claim these offers, one should provide the coupon code MAX300 and free cash will be added to their account. For free spins, contact the customer support team. In order to turn bonuses into real cash and clear your winnings from your account, you need to meet the wagering requirements set at 30x the deposit and bonus amount. Wagering requirements for free spins are set at 35x and the maximum cashout is capped at $200. While this welcome package is designed for slot players, those who are into other forms of entertainment can make use of a 150% match bonus up to $1,500 to play a vast range of table games. The coupon code for this offer is MAX150 and this bonus can be redeemed only on the first deposit. Keep in mind that Baccarat, Craps, Roulette, Sic Bo and War are excluded from wagering requirements which are set at 30x both the deposit and bonus amount. To enjoy “the Ultimate Gaming Experience”, as the online gaming operator advertises its product, you can make use of daily promotions. From Monday to Sunday you can enjoy generous offers including 25% Cashback every Monday, Double up Bonus up to $1,000 on Tuesdays, up to $100 in Free Chips and a 55% Slots Bonus up to $555 every Wednesday and a chance of hitting the “Big Jackpot” on Thursdays. You can also grab $20 Free Chip and a 70% Deposit Match Bonus on Fridays, a $2,500 Slots Bonus and 50 Free Spins on Saturdays and finally, enjoy hand-picked offers including free spins and chips on Sundays. CasinoMax offers a full suite of RTG-powered casino games across three platforms. You can easily download and install the software available on the casino site or, if you prefer instant-play which allows you to log in from various devices, you can just click the Play Now button. The download platform offers the most diverse collection of games whereas instant-play and mobile platforms offers fewer games, but still enough to get entertained wherever you are. Just like with other online casinos powered by RTG, slot machines are the biggest attraction of CasinoMax too. 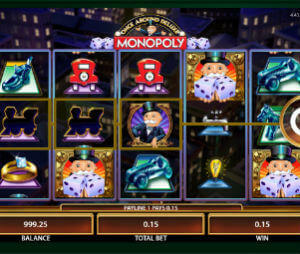 They comprise the biggest section and you can choose from 5-reel, 3-reel and 6-reel slots. New slots are added on a regular basis, so you can enjoy titles like Kung Fu Rooster, Cash Bandits 2 and Perfect Pets, which are the latest slot releases by RTG in the time of writing this review. The announcement of the upcoming slot title is featured too, so you can easily keep track of slots which will be launched. The RTG classics such as Naughty or Nice, Aladdin Wishes, Cleopatra’s Gold are available too, and some of them deliver random progressive jackpots. If you are into progressive slots capable of awarding massive prizes going to millions of dollars, you can take your chance on Aztec’s Millions, Spirit of the Inca and Megasaur. Players who are into table and card games can choose from Baccarat, Blackjack variants, Caribbean Hold ‘Em and Tri Card Poker, a collection of Video Poker games and more. There are no live casino games, which we find the biggest downside of the casino. The minimum deposit a player can make is $35 while the maximum is limited to $1,000. All transactions are carried out in USD and this is the only currency CasinoMax accepts. Deposits can be made via Visa, MasterCard, ecoPayz, Skrill and Neteller. When it comes to cashing out, two more banking options are available, bank transfers and checks. Once your identity is checked and verified, you will be allowed to cash out from $35 up to $4,000, depending on the method you opt for. On the Banking page it is stated that time needed for the completion of the withdrawal procedure is between 3 and 5 days via bank transfers and checks. Withdrawals through these methods are subject to a fee of $25 per transaction. Cashouts via other methods are free of additional costs, but the estimated time needed for their processing is not available. There are still a few aspects that require fine-tuning, this is our first impression of CasinoMax. However, you won’t find many gaming venues out there that offer such a generous welcome offer and hard-to-match daily promotions. If you are a high roller, you should visit CasinoMax as you can make use of up to $9,000 welcome package which will triple your balance so that you enjoy the real casino action to the fullest. When we say ‘the real casino action’ we mean it. RTG-powered games may not be the most spectacular when it comes to their appearance, but they are proven to be highly popular among casino players around the world and especially in the US. As a new star on the US online gambling market, CasinoMax is a place you should visit and if you like it, you will be awarded properly for your stay from the first deposit you make.